Enjoy profound relaxation and inner peace as you journey through time. 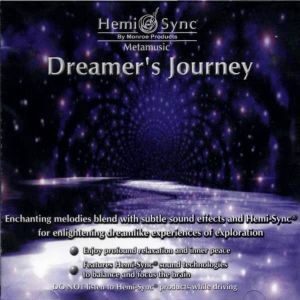 Enchanting melodies blend with subtle sound effects and Hemi-Sync® for enlightening, dream-like experiences of exploration. Use Dreamer's Journey for expanding awareness through musical imagery; for deeper, more profound relaxation; or simply for musical enjoyment. Performed and written by Bob Volkman. Expanded state of consciousness, profound relaxation music.